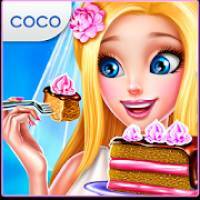 Wedding Planner  – Girls Game is a Casual android game made by Coco Play By TabTale that you can install on your android devices an enjoy ! Many happy couples are newly engaged – now it’s time to prepare for their wedding day! Design wedding dresses and choose everything from flowers to delicious cakes – make it the wedding they’ve always dreamed of! With your help, they can even be featured on a magazine cover! > What do you want the wedding hall to look like? The choice is up to you – YOU’RE the planner!